Located on the southern tip of Vancouver Island, Victoria, BC is one of the most beautiful cities in the world. Blessed with incredible natural beauty and a temperate climate, Victoria is a wonderful place to call home and an unforgettable place to visit. 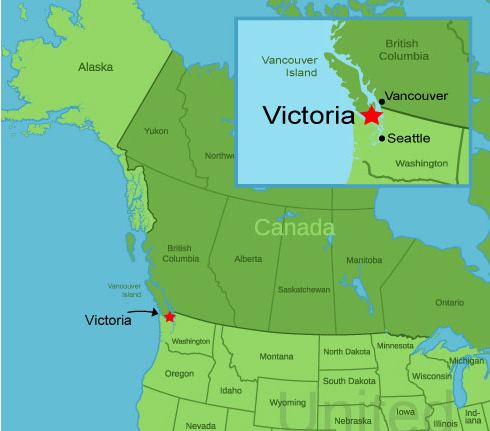 Victoria is the capital city of British Columbia. It’s a safe, clean, and walkable region, known for its heritage architecture, stunning gardens and exceptional shopping and dining. The region is comprised of 13 municipalities with a combined population of nearly 400,000. Wherever you are, most areas in Greater Victoria are within 30 minutes by car, transit or bike courtesy of a growing network of bike and dedicated bus lanes. The region boasts outstanding outdoor recreation options, and, with the mildest climate in Canada, you can golf, hike, kayak, cycle or participate in almost any outdoor activity year-round. In fact, Statistics Canada rates residents of our region as the most active people in the country and the Cycling Capital of Canada. The region measures 2,441 square-kilometres (942 square miles), representing seven per cent of Vancouver Island's landmass but about half its population. ​Click on the links below to read more detail about each municipality in the Greater Victoria region. Victoria has a diverse economy driven by small and medium sized business. ​Advanced technology is the leading economic generator, with annual revenues exceeding $3.15 billion. Greater Victoria is also a major tourism destination, spawning an industry that has a regional impact of about $2 billion. Education, marine, construction, health, retail, and agriculture are other sectors steadily on the rise. Our education industry fuels much of the development of high tech and other knowledge based industries. With four post-secondary institutions and one International Baccalaureate Program, the schools in Victoria provide a rich learning environment and a ready pool of educated employees. As the Capital city of the province and a Department of National Defence location, the public service is a large part of our economy. The Armed Forces alone employs approximately 6,000 people in the region. But most of all, we just like to boast about our quality of life in Victoria. We have the country’s most temperate climate and probably more flowers than anywhere else in Canada. With a wide variety of leisure, sport and cultural facilities, there is something for everyone. Few locations offer all the amenities of a larger urban centre while maintaining the character and feel of a smaller centre. Victoria values and maintains its historic character and our attitude toward achieving a balance of life. ​Whether you describe Victoria in terms of growing zones (Hardiness 9a) or climate zones (sub-Mediterranean) the picture that it paints is not that of a typical Canadian summer or winter. As a temperate location, located on the balmy Pacific Ocean, the 2,193 hours of sunshine yearly shines bright but not to the point of barbecuing the denizens and the 883 millimetres of rain we get annually is nearly half the annual rainfall of Vancouver. Average daytime temps in the summer range around 21C (71F) with winter daytime highs ranging around 7C (44F). With weather like this it comes as no surprise that Greater Victoria is rated Canada's healthiest and fittest city. Victorians pursue a wide range of outdoor activities all year round and is recognized as having the greatest amount of active leisure time of any major city in Canada. The region’s 26 golf courses are clear proof that Victorians love their leisure time.